What do backpacking, hiking, camping, and boating all have in common besides the obvious outside factor? These are all things you can do with infants, babes, and children of all ages. Even rafting, sea kayaking and sailing! Don't believe me? Think backpacking with a baby is just crazy talk? 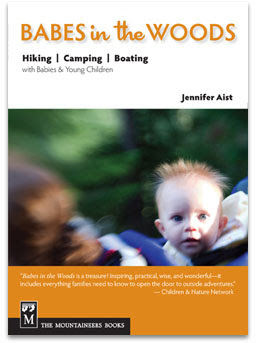 Then you really need to check out Jennifer Aist's book Babes in the Woods. Please proceed to the book review below and make sure you continue all the way to the end if you would like to win a copy of this book. Jennifer's book is full of practical advice, lists, suggestions, and even no-fail camping recipes with the goal of De-mystifying the whole subject of family outdoor adventure and play. Jennifer believes in this way of life with kids so much that she even teaches classes on Babes in the Woods, Babes in the Snow, and Babes on the Water in her native Alaska, a state not generally known for its gentle or mild weather! How do I dress my children for the elements (be it rain, snow, or blazing sun)? What should I bring on the trail for my children to eat? How will I keep my children hydrated? Out of the sun? Safe from bugs? How should we practice good hygiene from bathing to teeth brushing while camping? What do I do with my child who's in the middle of potty training when we're outside? Where will my baby nap while we are outside on the go? How will we keep the kids warm at night when camping in cold weather? Will I need to take a wilderness first aid course or learn any special skills to keep my children safe? If you don't know the answers to these questions, I highly recommend that you pick up a copy of Babes in the Woods. Every outdoor child needs a confident outdoor parent and Jennifer can teach you the skills to get there. In the second part of the book, Transporting Little Ones on the Trail, Jennifer reviews the various models of child carriers, jogging strollers, bike trailers, trailer bikes, and even child-sized bikes. I wish I would had this knowledge at hand when I was choosing our first child carrier. I didn't even know what an Ergo was when my son was born a few years ago! Everybody I knew either had a Baby Bjorn for infants or a full fledged external framed backpack. In the end we went with the same backpack friends had because we figured if it was good enough for them, it was good enough for us. In hind sight there are probably better ways to choose a child carrier when you hike as much as we did and still do. 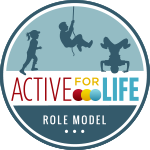 Thankfully times have changed and there are a lot of great resources out there for active families now. 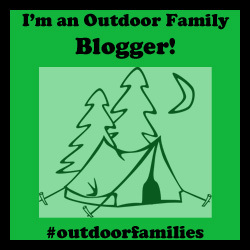 You need not go down to MEC or REI in the dark so to speak about the best products to meet your family's outdoor needs. We chose the perfect jogging stroller for our family and we've been able to use it for backpacking, cross country skiing, and biking. This doesn't mean though that we knew what we were doing when we bought our Chariot. It was again, just what everybody else had at the time. Jennifer breaks the whole topic down for you with important questions to ask and features to look for (broken down by age of your children). She devotes a whole chapter to biking in case your stroller doesn't come equipped with a bike attachment. The chapter also gives practical advice for parents who want to juggle multiple children on their bike rides from the infant in the bike trailer to the preschooler or school aged child riding behind mom or dad on a trailer bike. 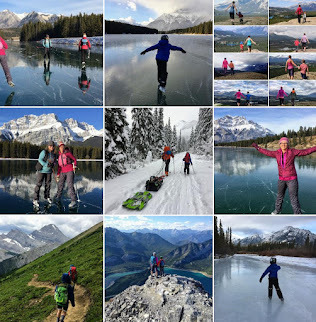 Part three of the book, Having Adventures, was my favourite because preparation, safety, planning, and shopping aside, you are finally ready for the actual adventure. 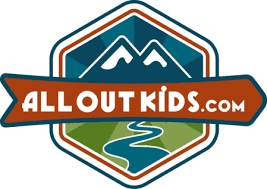 Here is where you'll find out how it's going to actually work to take your kids hiking, camping, backpacking or boating. There's even a chapter devoted to exceptional children and those with special needs. And while I can't say this for certain, I'm pretty sure Jennifer tackled a subject there that has seldom been discussed in guide books before. And finally, in section four of the book, Connecting with Nature, you'll find activities for the campsite, wildlife activities, and nature activities. The chapter is broken down by age group so even if you think that you are beyond the subject matter of this book because your baby has grown into a feisty preschooler, you will still find useful advice, tips and suggestions in these chapters. Judging by the amount of highlighting I did in this section of the book, I'd say I found many new ideas that I can't wait to try next summer. The author had no agenda when she wrote the book to sell you the most expensive outdoor clothing and gear on the market. She wasn't commissioned by a large outdoor company to push their tents, sleeping bags, backpacks, etc. Jennifer simply tells it like it is. She outlines the good and the bad with each product on the market and then leaves it up to you to know what your family will most need. Jennifer really wants to help you save money as you prepare the necessary gear for your chosen family activity or sport. Her book doesn't tell you that you need some fancy bug suit, napping tent, or winter boots for an infant who isn't even walking. Instead, with a little sewing experience, she teaches you how make some of the simplest things from bunting suits to mittens by yourself. She also teaches you how to modify pieces of adult clothing and equipment that you already have! If you have a couple lawn chairs that you can place seat to seat in the shade for example you already have a place for your baby to nap. If you have a pair of adult wool socks, you have a pair of baby mittens. Babes in the Woods is full of simple advice, mom to mom, dad to dad. In fact, the book is full of advice that Jennifer received from other parents just like you. It's a collaboration of love that Jennifer passes on to you. Parents who have gone before pass on their wealth of information (often obtained the hard way through trial and error) to those about to embark on the same journey with their own family. For more information about Jennifer Aist's book, visit her website, Wilderness for Kids. The book can be ordered right off the website. You can also purchase or order a copy of the book from any Chapters or Indigo bookstore. Finally, I have a second copy that I would love to give away. To win a copy of Jennifer's book please leave a comment below with your name and a question that you hope Babes in the Woods can answer for you. The contest is open to all residents of Canada or the United States. The contest will end Sunday October 22nd at midnight, mountain standard time. I will announce the winner's name on Monday morning. I'd like to get a run down of the best gear for dressing infants and toddlers for the cold. What types of materials are best? Does she discuss weight? Sounds like a great book. I would benefit from a book that has all of what you described as well as how to select your first adventure. Knowing me, I'd probably end up trying a hike that was well beyond what we're initially capable of completing! What are some fun new ideas for M to do while we're paddling? This looks like a great book and I can't wait to add it to my collection (either by winning or buying it). I'd sure be interested in especially the water-sports related section and always the lists! We hope to go camping with our three year old daughter and six month old son soon, and I would love some advice on what exactly to bring. This sounds like a wonderful book - thank you for offering your second copy up for someone! Sounds like a great book for those who enjoy the great outdoors. Wonder if Jennifer has a checklist of things to bring when outdoors with kids. Sounds like a great book. I would love your extra copy of this book. I just found out that I am pregnant so I have a lot of learning to do. Tanya is my outdoor parent guru. If you learned lots from this book, I guess should get a copy. Sounds very neat! My question would be what are the best clothes and different accessories I should bring? We love snow shoeing and ice fishing--so how do I keep my baby warm? Everyone thinks we are crazy. I'd love to know what to do with napping. It's a huge problem with two little ones. The whole book would be about questions I have. We have never tried hiking, etc with kids. I have no idea where to start!